Introduction This well presented three bedroom end of terrace home is situated within the older part of Hedge End and therefore benefits from a range of local amenities including local shops, schools and bus services along with further transport links in the form of Hedge End's mainline railway station and the M27 motorway. The accommodation briefly comprises an entrance hall, lounge/dining room, kitchen, three bedrooms and a family bathroom. 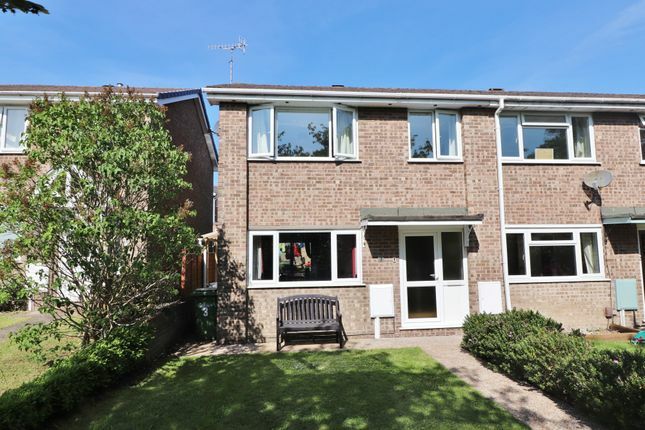 Outside the property has a landscaped rear garden, home office, parking to the rear and a garage. Inside The front door leads into the entrance hall which has stairs to the first floor and storage areas. The lounge/dining room is a good size room and has patio doors leading out to the rear garden. The kitchen is located at the rear of the property and has been refitted with a range of wall and base units with built-in oven, hob and extractor over along with space for further appliances. On the first floor the landing provides access to all three bedrooms and the family bathroom along with a storage cupboard. The master bedroom can be found to the front of the property with a window to the front aspect and benefits from a built-in wardrobe. Bedroom two is situated at the rear of the property with a window to the rear aspect. Bedroom three has a window to the front aspect. The family bathroom has been refitted with a matching white suite comprising a low level WC, wash hand basin and panel enclosed bath with a shower over. Outside To the front of the property there is a lawned front garden and pathway leading to the front door. The landscaped rear garden is enclosed and laid to lawn with a paved patio. There is rear vehicular access to the parking space and detached single garage. The home office measures 3.5 metres by 2.5 metres, and is insulated with power and light. Directions From our office in Hedge End proceed along Freegrounds Avenue and follow this road for some distance before turning right into Tanhouse Lane. Continue along this road and at the roundabout bear right into Cranbourne Park where the property is located.